Cape Town-based renewable energy company Solar Capital won a R13 billion deal to supply the South African energy grid with electricity generated from a 75 megawatt photovoltaic solar farm being developed in the Northern Cape. 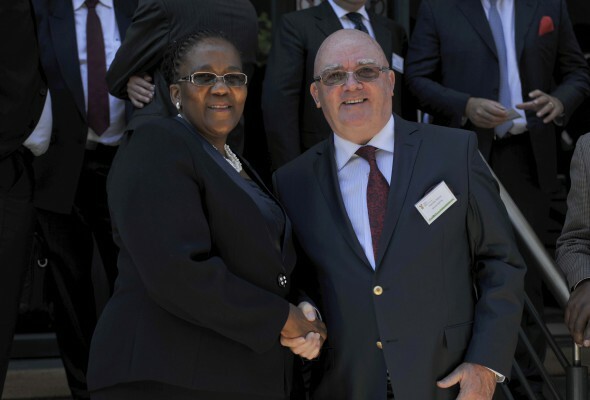 The deal was signed this week with the Department of Energy and Eskom and is the largest solar bid allocation in Round One of the department’s renewable energy independent power producer procurement programme. Solar Capital's founder and CEO, Paschal Phelan, started the company four years ago. His Phelan Holdings says proven technology will be used and one million panels installed at this farm located in De Aar. This project will employ upwards of 250 jobs between De Aar and Cape Town for manufacturing and installation. Phelan has already invested heavily in De Aar with the purchase of a large factory on 6 ha as well as the local 50-bedroom hotel, which is undergoing a major refurbishment and will be rebranded as De Aar Royale Hotel. “The panels will convert solar rays directly into electricity that will then be fed into the national grid. The panels have no moving parts, no emissions and are easy and quick to install,” he enthuses. 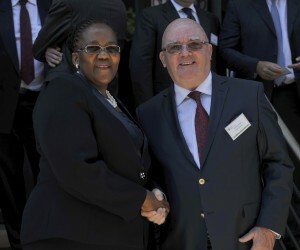 Phelan congratulated Ms Dipuo Peters, Minister of Energy, for such an inspired renewable energy programme, which is fast becoming the blueprint internationally for the most viable and cost effective way forward for renewable energy development. According to Phelan, who now lives in Cape Town for the past 12 years, Solar Capital plans to invest in the development of up to 25 solar farms on 50 000ha of land that it has acquired in the Northern and Western Cape. Phelan says that at present South Africa produces about 35 000 megawatts of electricity per year, but it is forecast that the country will require 85 000 megawatts by 2030. Solar Capital is set to sign another successful deal for R10 billion in March next year.